This is one of my favorite months. Why? Because of the autumn, with its beautiful colors, and its cold smell, the chilly days inviting us to eat and drink warm and sweet stuff huddled under the blankets, the TV shows return, and, of course, because of… Halloween!! Yay!! I don’t particularly like the spooky part, but all the creativity that this holiday inspires it’s amazing: infinite variety of costumes, astonish decorations, original dishes-beverages and, to wrap it all… Lots and lots of fun!… There’s no limit to the imagination! And I LOVE it!! What about you? 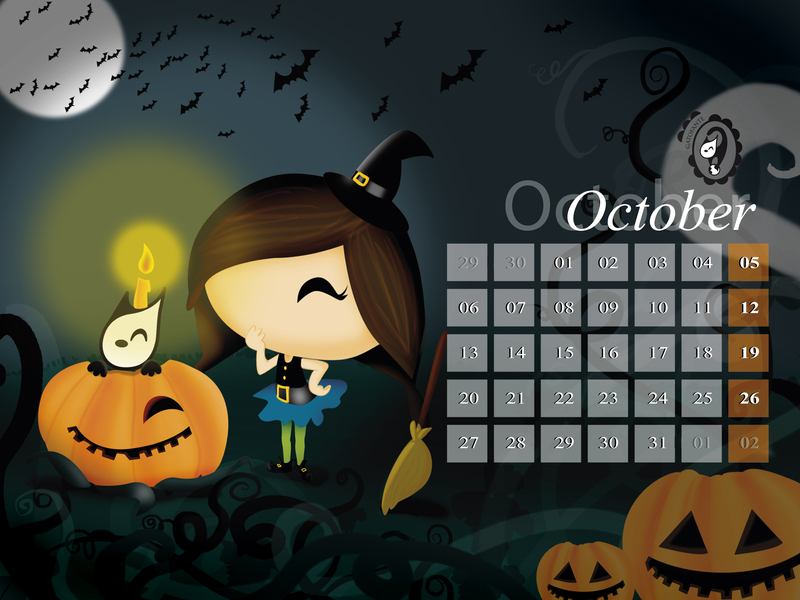 Do you like this month? Do you celebrate Halloween? What do you do when October comes to your door? Let us know! We hope you like this little present!